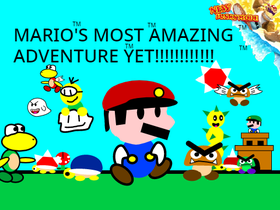 I'm just an overly obsessive Mario fan who happened to find out about this website...so here I am. My real name is Derek. I am 14 years old (last time I updated this). Nothing, really. I've lost motivation. I am not quitting, just taking a long break. I don't know when or if I'll continue making scratch projects. Who's your favorite Mario character? bored so Rp with Cam.